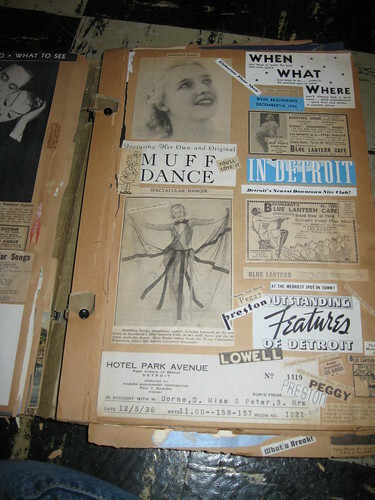 Last winter I spent some time going through paper archives in the Burlesque Hall of Fame collection in Las Vegas, with the help of Laura Herbert and Brian Newman. 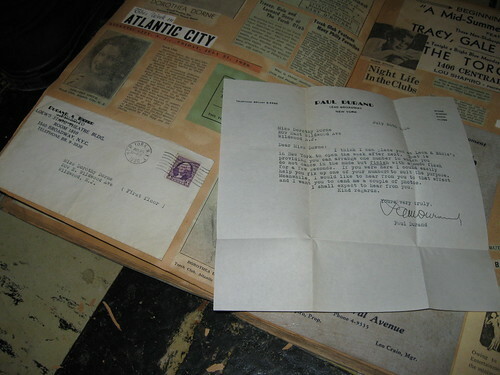 I was particularly interested in the sheet music and the notations on it. I intend to share more about the sheet music project later, but I got to see something so unexpected and charming and lovely that I want to share it with you. 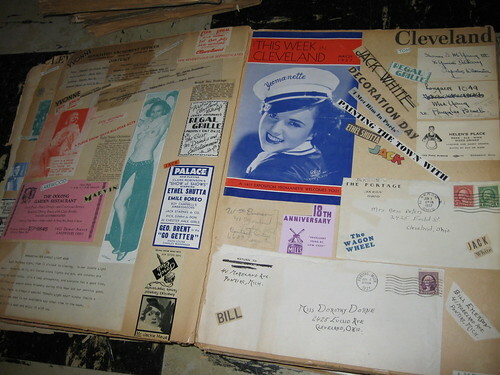 It’s a collection of scrapbooks from an early 20th-century burlesque and cabaret performer who went by various names, among them Dorothy Dorne. 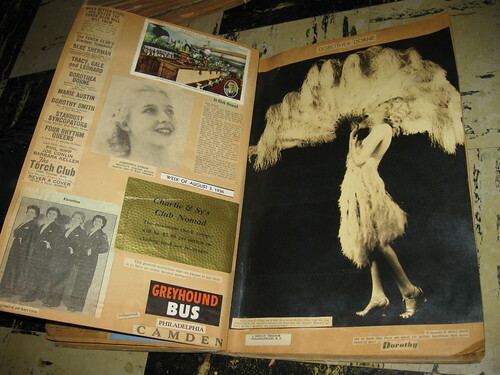 I spent hours going through them, taken to another world, amused and enchanted by the way her scrapbooks brought her to life, and took a few snaps. At the time I was too busy dealing with the publication of my book and lost track of all the work I had in mind for those archives, but I did take some pictures of this gorgeous find and want to give you a glimpse. Be sure to click on them to view them larger and read some of the texts. BHOF Weekend 2012: Apply NOW!